The Chinese government’s recent enforcement of environmental protection laws continues to disrupt global supply chains. In just one year, China’s Ministry of Environmental Protection sent inspectors to 30 provinces in China and punished officials in more than 80,000 factories with fines or incarceration as part of a nationwide pollution crackdown. And the Ministry reportedly already issued 280 million yuan ($43 million) in fines by September 2017. During these official inspections, the government often shuts factories down by cutting their electricity and gas supply, sometimes for two weeks or longer, until they can assess compliance. Factories found to be violating environmental law in China may be closed permanently. You, the customer, may be left without your goods and with little or no recourse. How Does a China Environmental Audit Protect You? InTouch helps importers avoid working with suppliers that are violating environmental protection laws and at risk of being closed unexpectedly. We can investigate your supplier by visiting their facility and assessing their level of compliance. You’ll receive a detailed report with our findings following the audit, including any violations found and an overall rating of compliance. You can incorporate a China environmental protection audit into your sourcing process when looking for a suitable supplier. Or you might audit an existing supplier to help manage your risk of disruption due to violations. 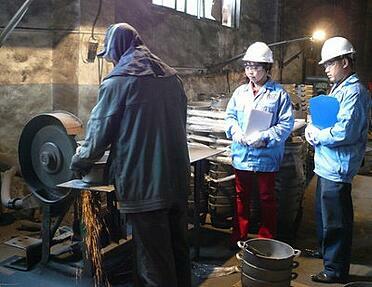 What Areas of a Factory Does a China Environmental Compliance Audit Cover? InTouch bills China environmental protection audits by man-days—you’ll generally need more man-days to audit larger factories. We also bill any expenses related to our auditors traveling to and from your supplier’s factory. So the final cost you pay will also depend on the factory address. 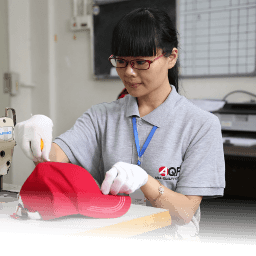 If you’re ready to talk with an expert about performing an environmental audit at your Chinese supplier’s factory, click the button below to contact us.